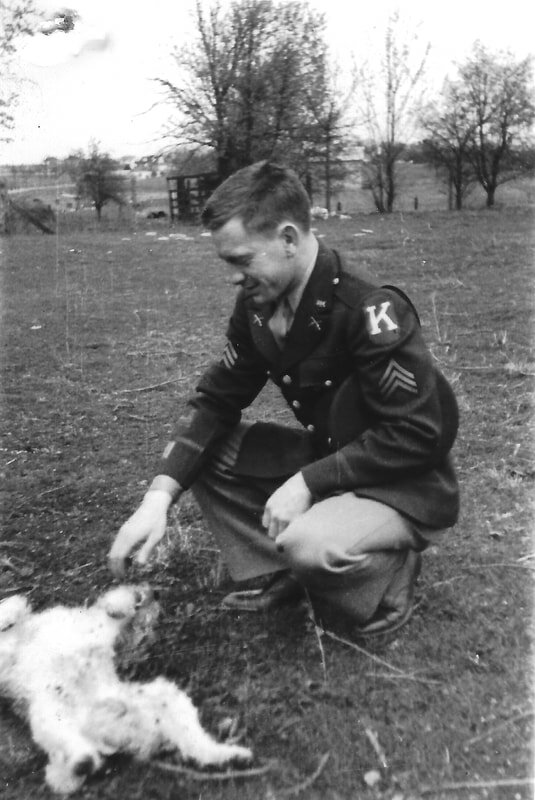 Part field journal, part diary, The Last Resort: Journal of a Salt River Camp 1942-43 by John C. Goodlett chronicles the outdoor adventures of a group of young men in rural America just before they are called to serve during World War II. Their story is a reminder of a time when our lives were more rooted in the natural world, before a global war and the industries and public institutions it spawned accelerated our dislocation from our homes and our land. You can purchase it online from Barnes & Noble or Amazon or request it from your local independent bookseller (ISBN 9780999254004/paperback edition; ISBN 9780999254011/hard cover edition with illustrated map). Read a review by Katherine Dalton on Arts-Louisville.com. For more about the process of publishing The Last Resort or about the people and places that populate the book. check out the Murky Press blog, Clearing the Fog. You can comment on a particular post, or contact us at Murky Press here. 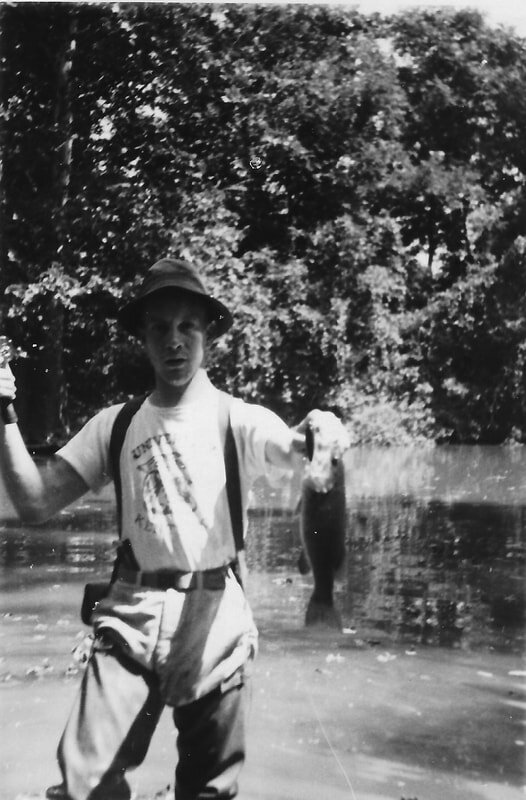 The author fishing central Kentucky's Salt River. 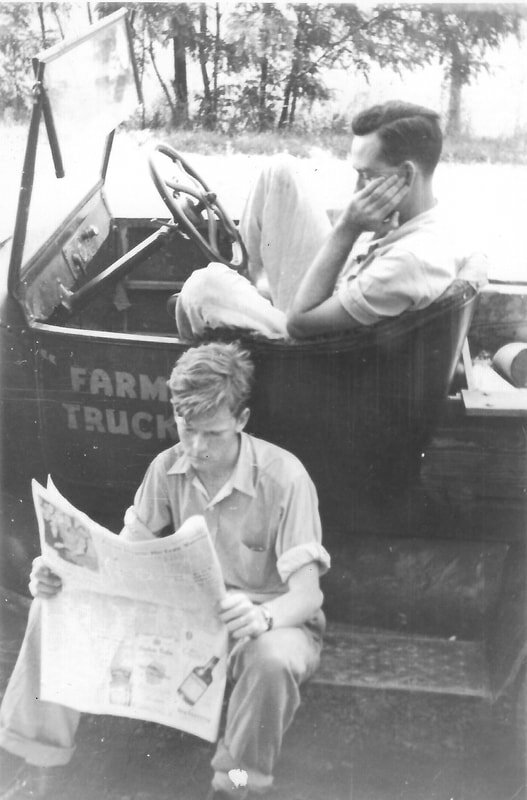 Two buddies, Bobby and John Allen, taking a break in the old Model T.
The author, as he begins the transformation into Army man.